In 2015 we worked with the national non-profit US PIRG (Public Interest Research Group) to produce this 60-second PSA to put pressure on the Obama Administration to urge the FDA to ban antibiotic usage on healthy farm animals. Take a look and see why this issue needs to be addressed. The Cook County Justice Watch group "was formed to promote improved implementation of criminal justice in Cook County." Read the blog here. Meet Floyd Stafford, future Legislative Coordinator for the Cook County Justice Advisory Council, co-founder of the Alumni Association and criminal justice advocate. 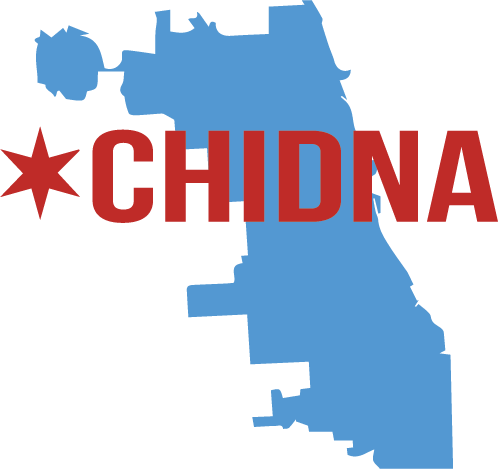 Reclaim Chicago is a people-led movement devoted to getting corporate interests out of municipal government and reclaiming Chicago City Council as a tool for ensuring justice, promoting equality and improving the lives of ALL Chicagoans. Read more about the moment at ReclaimChicago.org. In January of 2013 SoapBox partnered with DePaul University student organizations to put on an event honoring the life of Dr. Martin Luther King, Jr. Unlike most Dr. King events across the nation, our discussion-based forum focused on the legacy of Dr. King that is seldom, if ever, spoken of in the mainstream American consciousness. 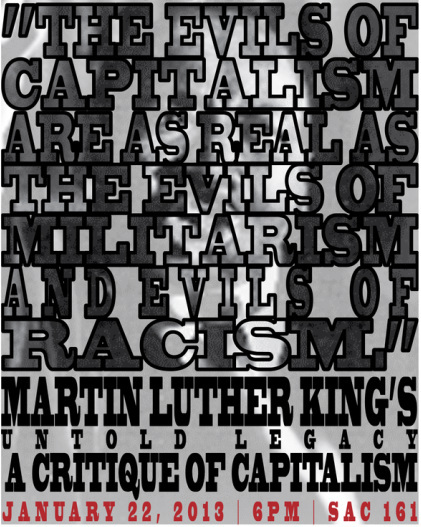 While we often celebrate Dr. King's work in racial desegregation and nonviolent protest, we shun his vehement anti-capitalist sentiments . Dr. King fought for the eradication of poverty, spoke out against vast economic disparities as well as the violent militarism of the Vietnam War and general American jingoism. This event focused on the true politics of Dr. King that are often sidelined for the convenient, packaged, and "safe" version of Dr. King that is often bastardized for shameless promotions of...well...everything come January-February.